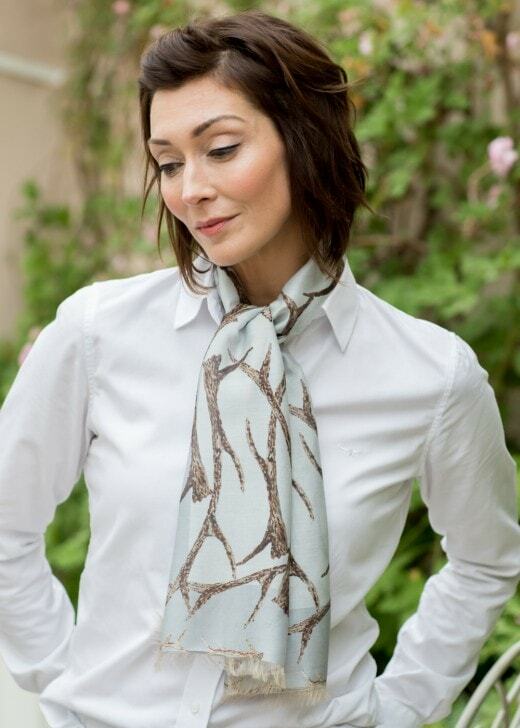 Evemy and Evemy's silk/modal Antler Scarf is a beautiful and must have accessory for your wardrobe this season. Evemy and Evemy's silk/modal Antler Scarf is a beautiful and must have accessory for your wardrobe this season. The perfect addition to any outfit, this scarf is sure to keep you warm and fashionable this Autumn and Winter.